Being a leader in the industry, we are engaged in offering a qualitative range of Kakarsinghi Herb to our customers. Welcome! At Ayurleaf Herbals, you will find the highest quality natural medicine based upon 5, 000 Year Old Ayurveda Medicine and formulated by a team of doctors with extensive clinical experience. We are engaged in providing the best quality Gule Babuna. A exotic leafy evergreen shrub up to 2 m. high leaves narrow, entire, with revoluts margins; flowers few, in axillary racemes; bluish or white or pale violet; nutlets smoth, ovoid sub-globose. - INDIA’S Largest Wild collected, organic certified land with 1, 40, 000 hectares bearing over 100 variety of ayurvedic herbs and botanicals is a USP of UMALAXMI ORGANICS PVT. LTD.
- Certified by CU, NETHERLANDS straight for you!!!! We are wholesale suppliers and exporters of Rosemary Leaves. We are a prime producer and supplier of Kalmegh Leaves (Andrographis Paniculetta Leaves) that are effective anti-biotic, anti-viral, anti-parasitic and immune system stimulant. These leaves are more famous liver-protective herb milk thistle. The Kalmegh Leaves that we offer are high on demand in the market. Speicialized spices like Ashwagandha, Stevia leaves, muletti, rose petals etc. To meet the diverse requirements of our valuable clientele, we are occupied in presenting extensive range of Babchi Herb. Celery is an important salad plant. In India, the leaves are not so popular, but the root and the seeds are commonly used in Ayurvedic medicine.The word celery is derived from Latin, celery which means quick acting, and presumably refers to its therapeutic properties. Our clients can avail premium quality of Myrobalan Seeds. It is alleged to cure blindness and it is believed to inhibit the growth of the malignant tumors. 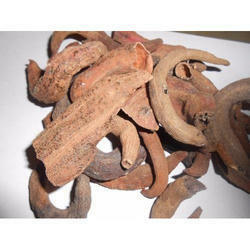 It is supposedly also a powerful detoxification agent believed to have medicinal qualities to cure cold related cough.